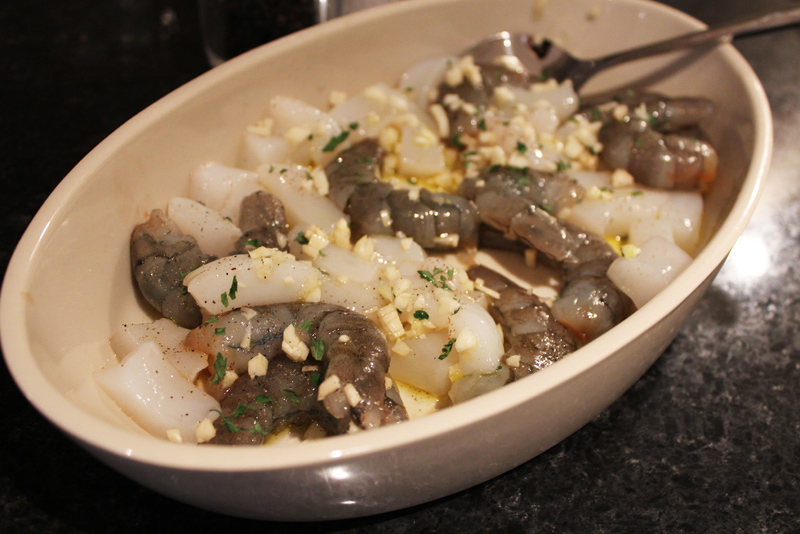 A couple of hours before I start cooking, I marinate the seafood – chopping the garlic, pop in the seafood and drizzle over lemon, salt, pepper and parsley. 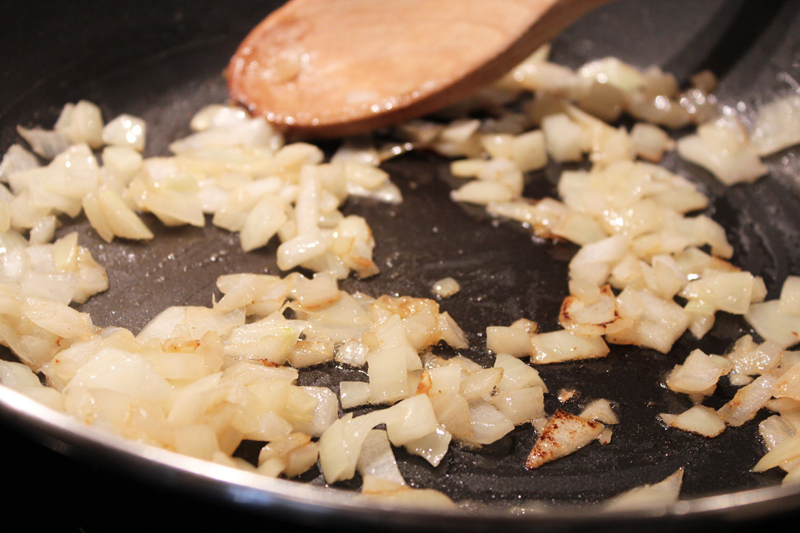 Then I finely chop white onion and slowly fry with real butter. 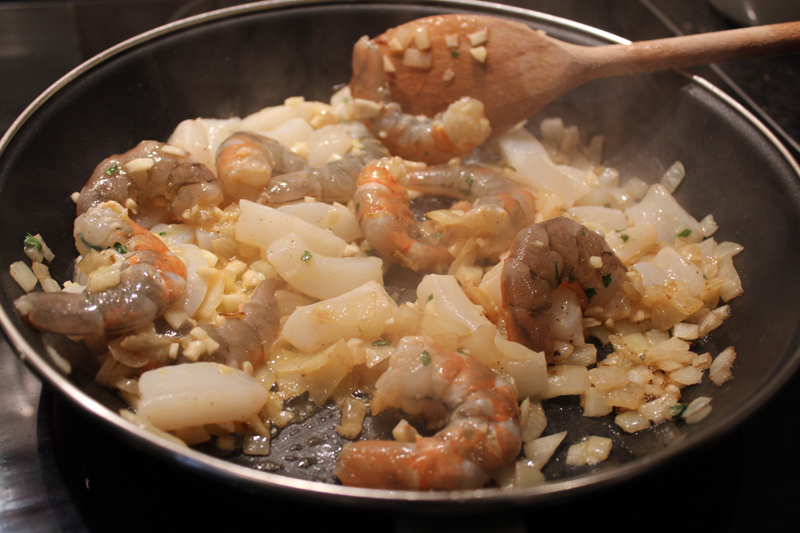 When the onion is golden I pop in the seafood on high heat. 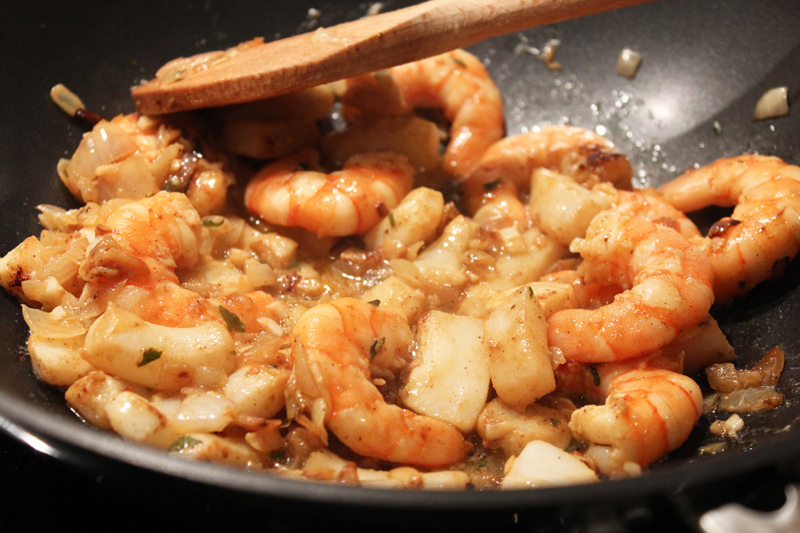 When the seafood is cooked I add a bit more butter, lemon and a few spoonfuls of water. 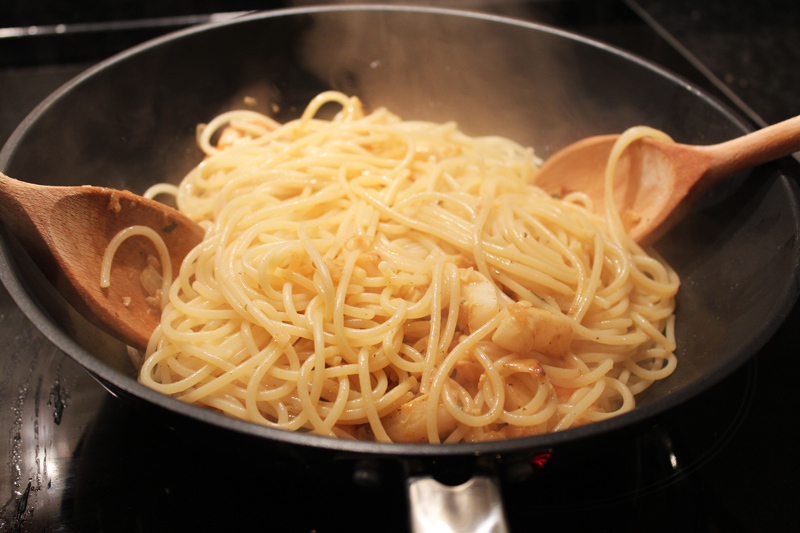 I pop the spaghetti in boiling water and add a pinch of salt. 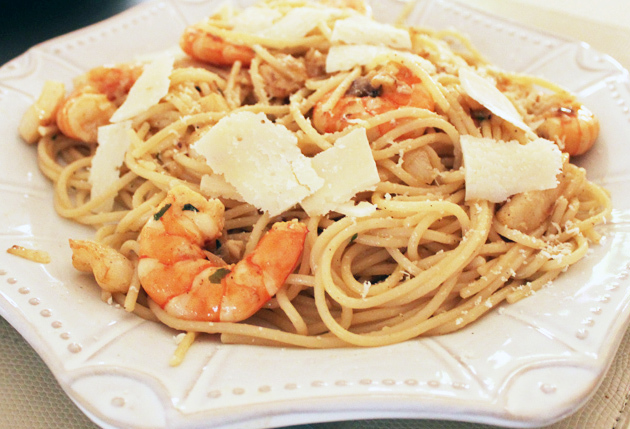 When the spaghetti is ready I pour it in the pan with the seafood and lightly mix and cook it all together. Served! 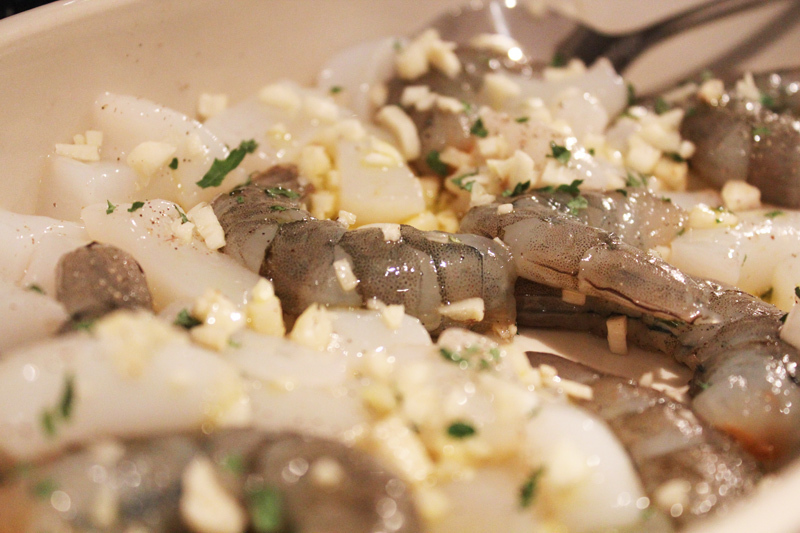 Add a few shavings of parmesan, parsley and drizzle over lemon and Extra Virgin oil. that looks scrumptious… mouth watering! Thanks for the tip about the olive oil!! omg…. this looks so delicious!! !